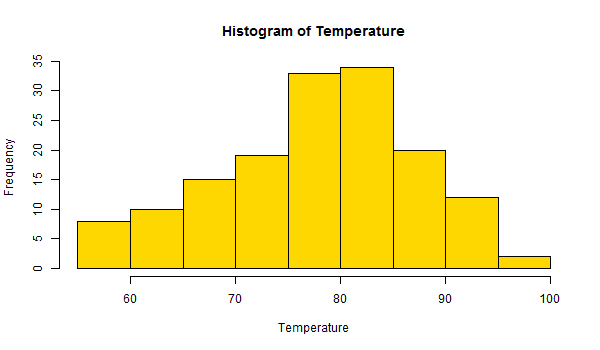 How to save a plot (as Bitmap, Vector Image, PDF, PostScript) in R? 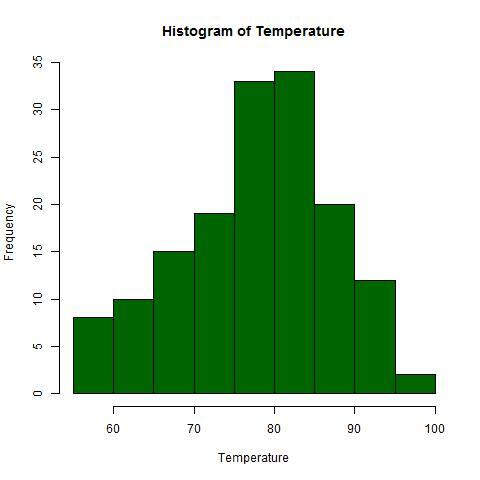 In this article, you’ll learn to save plots in R programming. You’ll learn to save plots as bitmap and vector images. 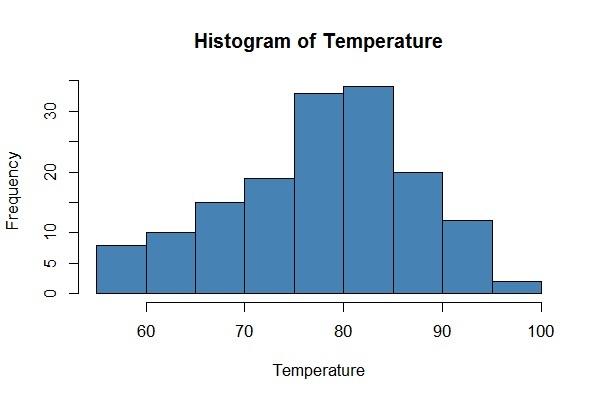 All the graphs (bar plot, pie chart, histogram, etc.) we plot in R programming are displayed on the screen by default. We can save these plots as a file on disk with the help of built-in functions. It is important to know that plots can be saved as bitmap image (raster) which are fixed size or as vector image which are easily resizable. How to save plot as a bitmap image? Most of the image we come across like jpeg or png are bitmap image. They have a fixed resolution and are pixelated when zoomed enough. Functions that help us save plots in this format are jpeg(), png(), bmp() and tiff(). We will use the temperature column of built-in dataset airquality for the remainder of this section as example. To save a plot as jpeg image we would perform the following steps. Please note that we need to call the function dev.off() after all the plotting, to save the file and return control to the screen. This will save a jpeg image in the current directory. The resolution of the image by default will be 480x480 pixel. We can specify the resolution we want with arguments width and height. We can also specify the full path of the file we want to save if we don’t want to save it in the current directory. The following code saves a png file with resolution 600x350. Similarly, we can specify the size of our image in inch, cm or mm with the argument units and specify ppi with res. The following code saves a bmp file of size 6x4 inch and 100 ppi. How to save plot as a vector image? We can save our plots as vector image in pdf or postscript formats. The beauty of vector image is that it is easily resizable. Zooming on the image will not compromise its quality. To save a plot as pdf we do the following. Similarly, to save the plot as a postscript file, we change the first line to postscript(file="saving_plot4.ps").